It's hard to believe that my youngest daughter has already turned 16. February was a big month for Andrea. She celebrated her birthday on the 16th and attended her school's formal dinner party on the 29th. I'm so proud of the young woman that she's becoming. She attends a Chinese Christian School and has been learning Mandarin since the 6th grade. She loves language and has the desire to be an Ear, Nose, and Throat doctor. I know if she sets her mind to it she'll be able to accomplish this goal. On a "stitchy" note, I've been busy with my needle and floss. I joined Vonna's great Fair and Square group and almost have my square completed. I hope all of you are enjoying the longer hours of daylight and getting lots of stitching done. Thanks for stopping by to see what I've been up to. I leave you with a picture of my Andrea. And if she's half as sweet as you are she's sweeter than most! Well, no wonder you're proud, Julianne, she looks beautiful and intelligent and sweet. 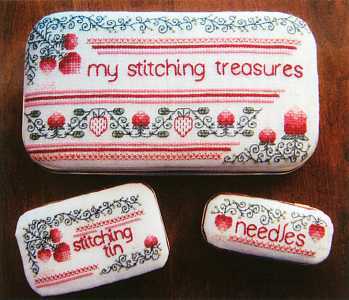 Hope you get a lot of stitching done over Easter! Julianne, your daughter is so gorgeous! Thank you for sharing your daughter's pictures. She is so pretty. have a happy EAster. Dear Julianne, your daughter is an amazing young woman. I wish all our family Happy Easter! What a beautiful young lady! But they do grow up so quickly. I hope you had a wonderful Easter weekend, Julianne! Thanks for your visit to my blog and thanks for nice comments! Oh my, your daughter is sooooooo beautiful!!! She also looks very inteligent! You must be proud of her as she is really gorgeous!